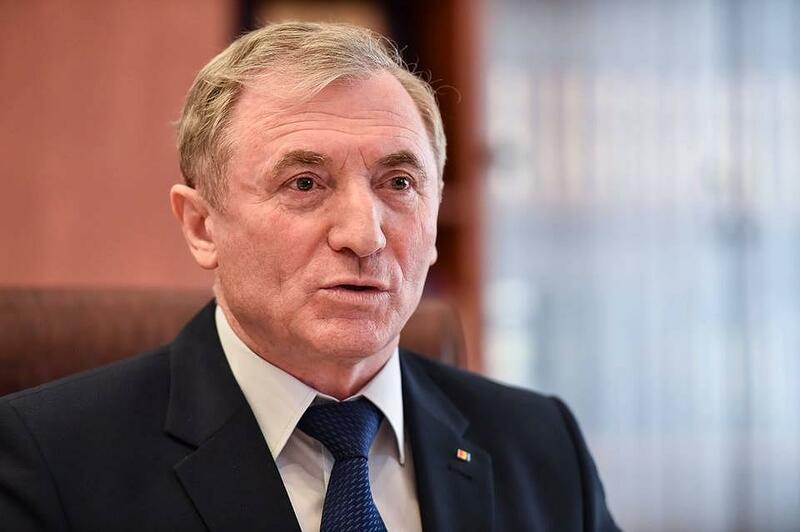 Romania’s general prosecutor Augustin Lazar vaguely apologized for his activity as a prosecutor under the communist regime, in a press conference on April 8. He also said that “his resignation would not benefit society” and maintained his decision to run for another term. Lazar thus addressed broad public criticism encouraged by the ruling coalition related to his activity in the 1980s as head of the parole board at Aiud prison, which hosted at that time political dissidents. Augustin Lazar was initially accused of refusing on two occasions to grant the conditional release of a political prisoner (Iulius Filip) held at the Aiud prison. While the facts are still unclear and he denied any wrongdoing, Lazar’s position as head of the parole board at Romania’s main political prison in the 1980s raised question marks if he is morally entitled to hold the general prosecutor position in a democratic regime. The defense expressed in his April 9 press conference didn't serve him well ahead of his candidacy for a new term. He explained that he just followed the rules during the communist regime and that he didn't have much choice as a young prosecutor. "As head of the Public Ministry, I want to present institutional apologies for some questionable practices before 1989, established by law, but characterized by poor ethics," Lazar said, according to local Agerpres. "I want to express my regret for the drama and suffering of the anti-communist fighters, to whom we owe the fact that today we live in a democratic country that is a member of the European Union," he added. He also insisted that the Romanian prosecutors, including the ones of his generation, abandoned the questionable practices before 1990 in the first years after the Revolution and that solving the historical cases (the Revolution case and the Miners' Riot case) is proof of this. On Monday, April 8, the general prosecutor announced that the military prosecutors sent to court the Revolution file in which former president Ion Iliescu was indicted for crimes against humanity. However, some of those targeted in this case argued that Lazar had no moral authority to investigate them due to his questionable activity before 1989.